Andy Grant is forced to drop out of Penhurst Academy in order to help his father on the farm. Accepting this, Andy returns home to and decides to form his own fate. With the help of a wealthy benefactor, Andy moves from his small town and is lead through work and travels across the country. 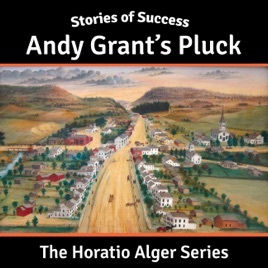 Horatio Alger was once crowned "America's best-selling author of all time." His works are back and they read like never before. You will fall in love with these stories of success!